The movement has been in existence for 112 years, but there is more than million people who have been changed by it. I will never forget the smell of a campfire and the songs we sung around it. The memories of me, running barefoot through a field and then searching for the sneaky ticks which can quickly hide in your clothes and then bite you without a notice. Scouting originated in the United Kingdom, but it is known worldwide. Founded by Robert Baden-Powell in 1907, the movement can boast a rich history and has created many courageous, capable and nature-loving people. As a member of the movement and a person who experienced the most beautiful memories of my life because of it, I know how important it is to be in a community full of kind people. I was a spoiled brat before I came there, but it changed me a lot as I learned that luxury isn’t the most important thing in the world, that the life is about relationships with other people and the nature. Gladly, I’m not the only one who learned such things. My peer and a good friend Natália Čuláková, experienced unforgettable memories just like me. “The most memorable part for me was the sense of community I got from it. I can clearly remember the anticipation on Friday meetings and the happiness from weekend activities and summer camps,” she said. Truly, the community is something what every person wants to be part of. People who raised us and played with us taught us how influence another generation so we could do the same later as well, and when all of us – all the generations raised by one another meet, it’s always a cheerful moment full of joy. Juraj Petrakovič, who is also a scout, spoke about one of our leaders who created this wonderful community for us. 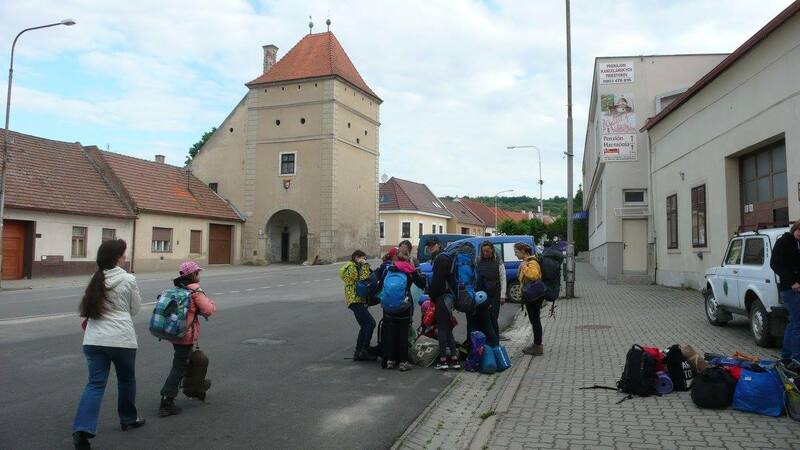 “I think that Pavol Fandák, a scout leader in Modra, really deserves our thanks. He raised a huge amount of great people who appreciate it as much as me. I’m really glad that I was in the movement. A person often doesn’t realise how important the scouts are, but later as he or she grows older, understanding and gratitude come with age,” he described with joy. Besides the great advances of being in a community, all of us know the importance of nature. We are the people who dislike the litter and waste and appreciate the animals, who understand that the consumerism isn’t good, and our environment must be protected. “Scout is without a doubt the best way to raise someone who will learn to love nature and protect it. It gives us a knowledge and teaches us that we should not just take things for granted, but give something back to the nature too,” summed up Juraj. I feel that all of us, not just scouts from a small Carpathian town in Slovakia, but everywhere in the world, were touched by the movement. It gave us the sense of belonging and living in a symbiosis. There are many reasons why it is important and good to be a scout, but everyone should give it a chance and find their own reasons. It’s worth it.